Julian Assange gives everybody headaches. Not just the U.S. Department of State. Not just the Pentagon or Attorney General Eric Holder, who wants to indict Assange for something—anything. Not just Bank of America, which Assange has hinted will be the next to fall into his crosshairs. According to a Vanity Fair feature from the February 2011 issue, embargoed by the magazine until midnight, Jan. 5, the WikiLeaks founder has even been driving the news organizations he feeds absolutely nuts. Assange bedevils the journalists who work with him because he refuses to conform to any of the roles they expect him to play. He acts like a leaking source when it suits him. He masquerades as publisher or newspaper syndicate when that’s advantageous. Like a PR agent, he manipulates news organizations to maximize publicity for his “clients,” or when moved to, he threatens to throw info-bombs like an agent provocateur. He’s a wily shape-shifter who won’t sit still, an unpredictable negotiator who is forever changing the terms of the deal. “The Man Who Spilled the Secrets,” written by Sarah Ellison, a former Wall Street Journal reporter and author of War at the Wall Street Journal, also supplies a pocket history of the financially stressed, trust-supported Guardian. But the real meat is Assange’s relationship with the press, primarily the Guardian. Assange started collaborating with the paper in 2010 after its star reporter, Nick Davies, convinced him that sharing raw data with a news organization would give the leaks greater visibility than merely publishing them on the WikiLeaks Web site. Once the Assange connection was made, the Guardian brought in the New York Times. Assange, flexing his proprietary rights, recruited Der Spiegel—“without consulting anyone at the Guardian or the Times,” Ellison writes—for the publication of the Afghanistan war leaks in July 2010. The Der Spiegel deal ruffled the Guardian, as did Assange’s eventual inclusion of Britain’s Channel 4 TV network in the Afghan-files “consortium.” The Guardian‘s Davies felt so betrayed by Assange, Ellison reports, that the two have not spoken since. Davies’ ire is only natural. All reporters become possessive of their sources. Even the most humble journalist will talk about his sources as if the individuals supplying information actually belong to him. These journalists grow furious when their sources work with other journalists. I’ve heard reporters speak with such intense pride about the sources they’ve cultivated that they make them sound like heirloom tomatoes that have been brought to vine-ripened perfection. More than anything, journalists expect a combination of trust and servility from their leakers. Davies of the Guardian and others in the media seem to have misjudged Assange, thinking him just another source. Assange would probably slap you if you called him a “source” to his face. He calls himself a practitioner of “scientific journalism,” and while the label may be vainglorious, Assange isn’t completely loony. He has routinely published carefully collected, vital information on WikiLeaks.org. You can criticize the journalistic quality of his pages, but you can’t say they aren’t acts of journalism: They have steadily revealed unknown facts worth knowing. Instead, there seems to be something about Assange personally which sets people on edge and makes them dislike him intensely: his biggest fans are often those who have never met him or who have known him only for a very short amount of time. That’s unfortunate, to say the least: it takes an issue which is messy to begin with and makes it a great deal messier. But at the same time, Assange has clearly been under an enormous deal of stress — and this is a man who once checked himself into hospital with depression after being charged with computer hacking in Australia. It’s easy to see how he wouldn’t have considered that to be an option in recent months. 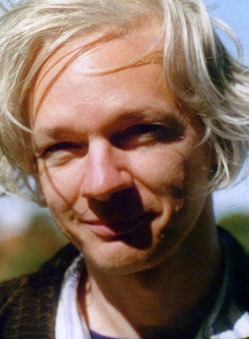 My suspicion is that there’s something quite unstable and destructive about Assange’s current mental state and that there has been since before he was in Sweden. I hope his publishers have a lot of patience: getting his very expensive book into a publishable state could be a very arduous process indeed. Taken together, these suggest that Wikileaks-type phenomena are nowhere near as invulnerable to concerted state action as some of the more glib commentators have suggested. It needs money and proper organizational structures to work. The piece hints that the current version of Wikileaks – which seems an awkward amalgam of open source style volunteerism and personality cult – is on the brink of collapse. It also needs to be able to build and maintain connections with external organizations, both to get resources in, and to get information out. These present obvious vulnerabilities. They also suggest that it will be far more difficult to create a multitude of mini-Wikileaks than it appears at first sight. You need more than a secure connection and a website to make this model work. At a minimum, you need enough of an organization to be able to build and retain links with bigger media. Finally, the most interesting consequence of Wikileaks is not that it has released much genuinely new information into the world (there are some consequential facts that were not widely known, but they are a relatively small part of the story). It is that it is redefining the boundary between facts that ‘everybody’ (for political elite values of ‘everybody’) knows but that are non-actionable in the public space, because they are not publicly confirmable, and facts that are both perceived as politically salient and confirmable, and hence are legitimate ‘news.’ Wikileaks means that many issues that are known are now also confirmably known, and confirmed as being known by the gatekeepers of public knowledge. I strongly suspect that this would not be true if Assange had not struck alliances with respected media organizations. The interesting action is precisely in the interaction between media organizations and organizations like Wikileaks, which are neither traditional sources nor media organizations themselves. This relationship is what will largely determine how the balance between ‘news’ and politically salient but non-actionable information shifts.